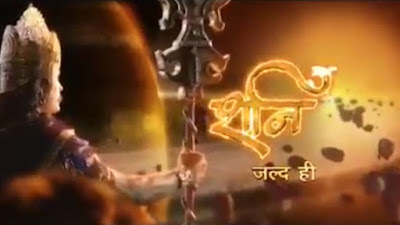 Colors tv is planning to telecast new tv serial under the title of "Karamphal Data Shani" which is produced by the famous producer Siddharth Kumar Tewary under Swastik Productions who Known for ruling the mytho genre with shows like Mahabharat , Suryaputra Karn and Big Magic's Baal Krishna. 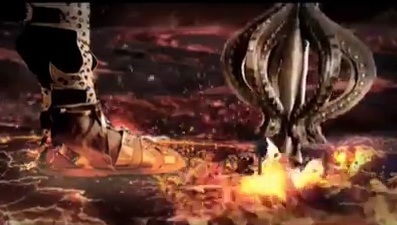 Shani will be based on the life of God Shani, who is known for his wrath. The daily will be another big budget project of the production house. God Soorya was married to Daksha Kanya Sadnya. Sadnya could not tolerate the radiance of God Surya. She used to feel that by doing penance she could increase her brilliance. 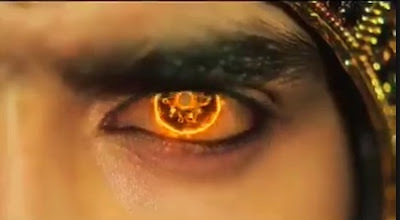 Or, by the power of her penance, she could diminish the glare of God Surya. But for God Surya, she was a spouse worshipping wife. From God Surya, she had three children. One was Vaivastahva Manu. The second was Yama Raj. And the third was Yamuna. Sadnya loved her children very much. But, she was very upset with the radiance of God Surya. One day, she thought that she would separate from God Surya, go to her parents' home and undertake great penance. And if there was opposition, she would go far away to a lonely and undertake great penance. By strength of her penance, Sadnya created a 'Chaya' (shadow) of herself and named her Suvarna. And, and then the shadow of herself became Suvarna. After handing over the children to Chaya, Sadnya told her that Chaya would thereafter play the role of womanhood and nurse her three children. She told her if any problem arose, she should call her and she would come rushing to her. But she cautioned her that she must remember that she was Chaya, not Sadnya, and nobody should know this difference. Sadnya hander over her responsibilities to Chaya and went away to her parents' place. She went home and told her father that she could not stand the radiance of God Surya. And therefore, without telling her husband she had come away. Listening to this, her father scolded her very much and told her that without being called, if the daughter returns home, both her and her father would be cursed. He told her to go back to her home immediately. Then, Saudnya began to worry that if she went back, what would happen to the responsibilities which she had given to Chaya. Where would Chaya go? And their secret would be exposed. So, Sadnya went to the dense jungles in Uttar Kurukshetra and took repose there. She was fearful of her safety in the jungle because of her youthfulness and beauty. And she changed her form into that of a mare so that none could recognize her and started her penance. Elsewhere, the union of God Surya and Chaya begot three children. God Surya and Chaya were happy with each other. Surya never doubted anything. The children of Chaya were Manu, God Shani and Putri Bhadra (Tapti). 1) The father of God Shani - God Sun. 2) The mother of God Shani - Chaya Devi-Suvarna. 3) The brother of God Shani - Yamaraj. 4) The sister of God Shani - Yamunadevi. 5) The guru of God Shani - God Shiva. 6) The place of birth - Saurashtra, Gujarat. clea –worded,lonely, justice loving etc. 10) Friend - Hanuman, Kaala Bhairav, Balaji. 12) Friendly planet - Jupiter, Venus, Rahu and Mercury. 13) Friendly Rasi - Gemini, Virgo, Libra and Taurus. 14) Dear Rasi - Sagittarius and Capricorn. 15) Dear Star - Pushya, Anuradha, Uttara, Bhadrapada. 17) The low Rasi of God Shani - Aries. The first promo of Colors’ soon to launch new series ‘Shani’ has been unveiled.From first sight, the show seems like a high-end costume drama, full of special effects.